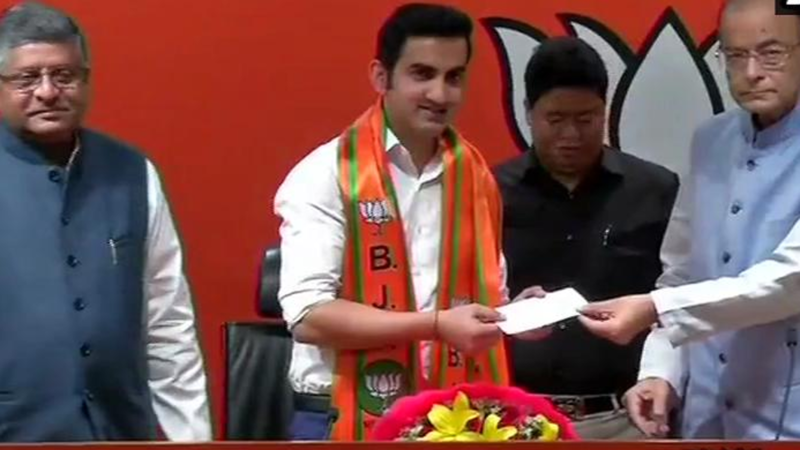 Former Indian cricketer Gautam Gambhir joined the Bharatiya Janata Party on Friday with weeks to go for the Lok Sabha elections and said he was ’impressed by Prime Minister Narendra Modi’s vision’. During the press briefing When Arun Jaitley asked if Gambhir would contest from a Lok Sabha seat in Delhi, Jaitley said let the party’s election committee decide that. Gautam Gambir’s social media activities were already indicating that he can join BJP before Lok Sabha Election. The way he was been raising questions on Social networking sites like Twitter and Facebook against Kejriwal for poor governance and pollution level of Delhi. But during that period he had always denied all the speculation about joining politics. NEXT POST Next post: Why no BJP candidate nominated from Pathanamthitta, where Sabrimala Temple is located?